Doing research for personal or professional purposes, looking for inspo for a new client, searching for the latest news in a particular industry. Whatever the subject matter, it all starts with Google. As content creators, we’re Googling daily: we’re researching new content ideas, the latest trends in the industries where we operate, trending discussions on specific topics, hot Reddit discussions, or the smartest questions on Quora. Guides on how to get traction for your product? Get them in your inbox now! The real struggle is when you’re due to write about some bleeding edge tech or very recent discovery and, guess what? Googling it is not easy. 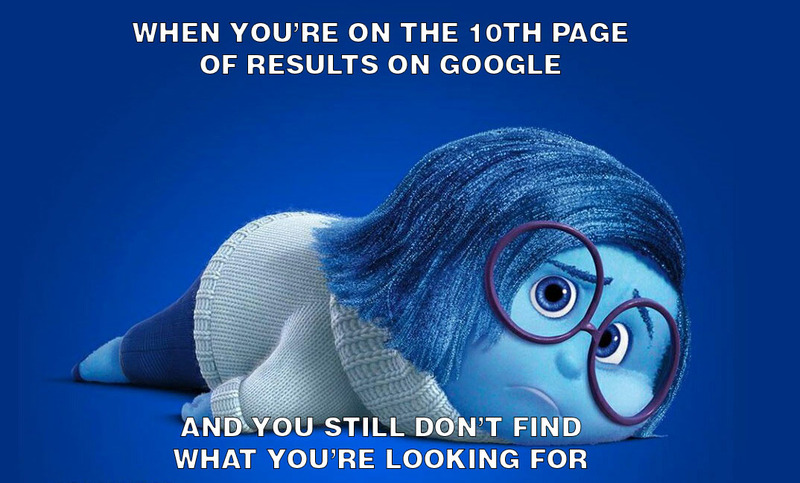 That’s why one of the first things learned by people working in our agency is how to search on Google. We’re gonna share with you X advanced search tips that help us find useful insights in the most obscure places on the Internet. Let’s say we’re doing our research for a new piece about vintage wedding dresses and we want to see what a site like https://www.ladyvlondon.com wrote about this topic in the past. The only thing you have to do is to place site: before your search term. If you want Google to return exact phrase match results, not for each of the words separately, use quotes. To continue with the example above, if you want the most relevant information about vintage wedding dresses, you’ll have to place this phrase between quotes. This way, Google will know you’re not interested in vintage dresses, vintage-inspired dresses, vintage wedding, etc. There are many times when we’re searching for something that can be really ambiguous, so we’ll receive results that are well indexed in Google, but not necessarily relevant for us. The best way to refine your search is to use a hyphen and exclude those terms. An example could be when you’re searching for delivery services, but you don’t want results related for food and flowers. To narrow down the results to a designated time range, two periods or to values, you’ll need to place the numbers before the search phrase. This one goes very well for searching prices or various periods in history, or just all numbers between a range. Not very useful, though. Most of the time we’re using this shortcut when we’re searching for visuals or infographics on specific niches, and we want to eliminate all the articles on the topic. But you can use this trick to find pdfs, docs, jpg images, etc. easier. This search filter is useful when you want to get only the articles that include your search term in their title. This one is pretty simple. If you know the author but you don’t remember the topic, you can just narrow down by placing author: before the name of the author and send type in your search term. Ok, I’ll admit it. Last time I’ve used this shortcut I was trying to remember a song that I’ve heard recently but couldn’t remember who was singing or the lyrics. The only things I knew was sailing. So I typed in sailing* and, guess what? One of the first results was Rod Stewart and his amazing song. So, this trick is useful when you’ve forgotten a word or two from a specific phrase, song lyrics, a quote, or anything in this area. Pretty simple, right? If you’re searching for competitors, this shortcut could come in handy because (Yes, Captain Obvious!) it helps you find sites similar to other sites.